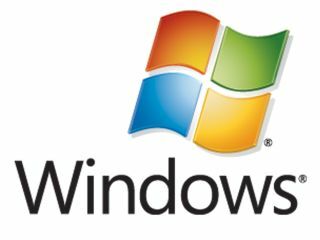 Windows Collection - a guide for buyers? Microsoft is launching the Windows Collection, with the UK initiative aiming to showcase 30 selected computers from a range of major manufacturers and simplify the old problem of which PC to buy. Although technophiles have little problem wending their way through the myriad options available in the PC market, many find it difficult to pick out what computer they actually need. To that end, Microsoft is aiming to simplify the problem with The Windows Collection, which groups 30 PCs in categories including gaming, entertainment, everyday, business and mobile companion. Microsoft's UK managing director Ashley Highfield believes that it's important to point out the importance of the PC in Britain, believing talk of the post-PC era to be premature. "One size can't fit all," Highfield told TechRadar. "PCs are not a niche market and people have ever more sophisticated needs. "The Windows Collection is about showcasing the best machines in key areas.The PC is at the heart of the home network, and people want a personal machine that is personalised for them. Microsoft's head of Windows UK, Leila Martine, believes Microsoft should be playing a role in pushing the best and most innovative PC hardware. "I think we are going through a market shift now we have established Windows 7," she said. "I think we are poking our heads up and saying there is a role we should be playing in talking not just about software but hardware innovations in each season across our OEMs. "Each Spring, back to university season and the holiday season we're going to select 30 PCs. "We've limited it at 30 because it's not just an elite range it's a showcase of what meets the needs of the UK consumers."